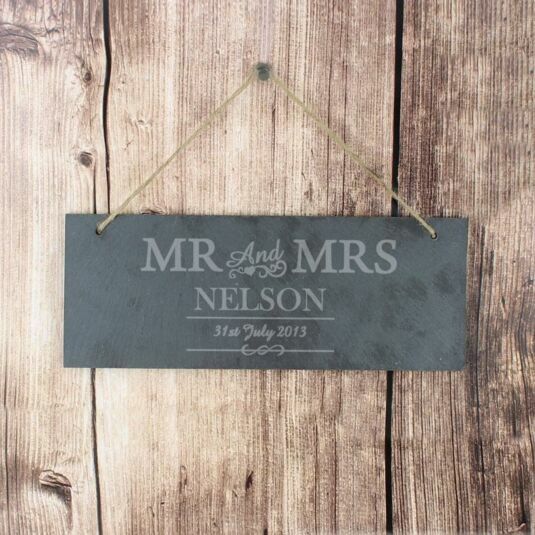 This attractive slate sign is a lovely gift for newly-weds and couples who have just moved home. The slate is dark grey with tiny specks of Fool’s Gold and is hung by an attractive piece of natural twine. 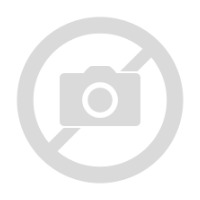 The sign is printed with the fixed text: Mr And Mrs which are embellished with a heart and curlicue. The date is printed below the personalised name. All the lettering is printed in pale grey. Add a surname, with a maximum of 15 characters, to appear underneath the fixed text. Please refrain from using only capitals for the date, as you may find the personalisation extremely difficult to understand and this may even result in personalisation being missed off the product.